Everyone has a Song! 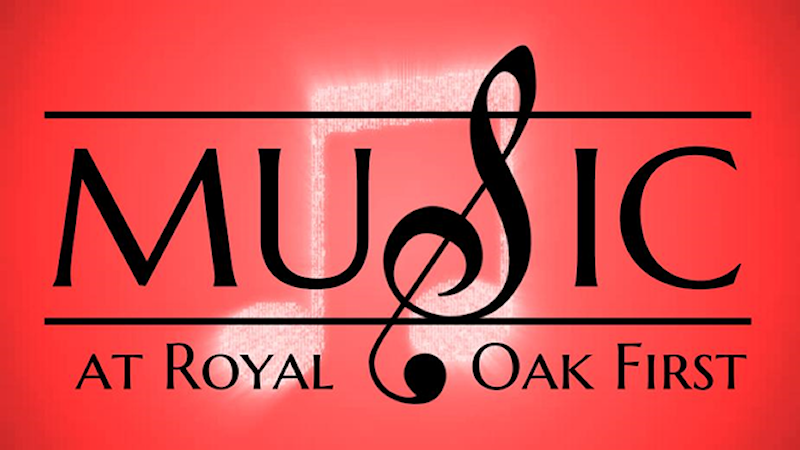 And here at Royal Oak First there’s room for your voice, your heart, and your music. Come grow in faith, form real friendships, and make a difference with one of our ensembles. 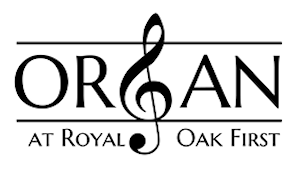 At Royal Oak First, Children’s Choirs are the number one place for our kids to connect, grow, and serve from preschool through fifth grade. Our Wednesday evening program includes dinner, learning, and music from 5:30-7:30. Age 3-5th grade. Middle School Youth gather on Sunday evenings from 5:30-6:45 for Revelation rehearsals before dinner and youth group. 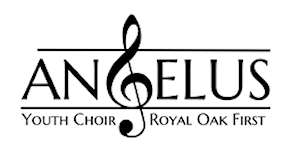 High School Youth gather on Sunday evenings from 5:30-6:45 for Angelus rehearsals before dinner and youth group. 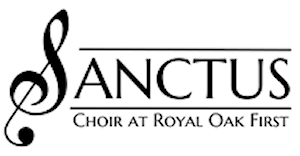 All voices are welcome in our adult choral ensemble, Sanctus. Join us for one of our 8-week sessions as we tackle challenging repertoire, build lasting friendships, and help lead the 11am worship service. Director, Caleb Williams, caleb@rofum.org – Grade 9 and up. 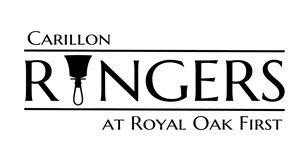 Handbell and handchime ensemble, offering fun, faith, and music to various worship services and events through the year. Co-Directors, Elizabeth Wright and Amy Rhoades, Grade 7 and up. Play guitar, drums, bass, accordion? Our eclectic instrumental and vocal ensemble leads music at the 9am worship. Want to sing or play a solo? Looking to put a group together? 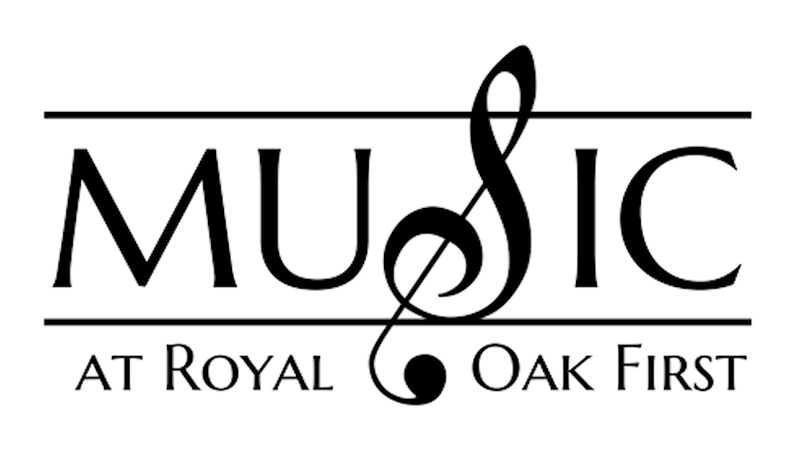 Would you like to bring music to hospitals, funerals or nursing homes? 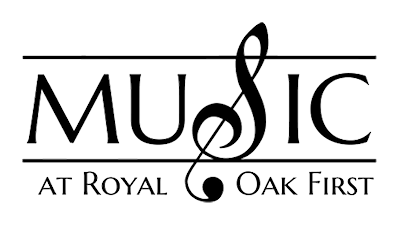 Check out Facebook Events Page for the many concerts and events produced or hosted by Royal Oak First Music Ministries. Our sanctuary instrument was rebuilt by Schantz in 2007 and features 35 ranks (2050 pipes!). It’s perfect for leading the congregation in song.